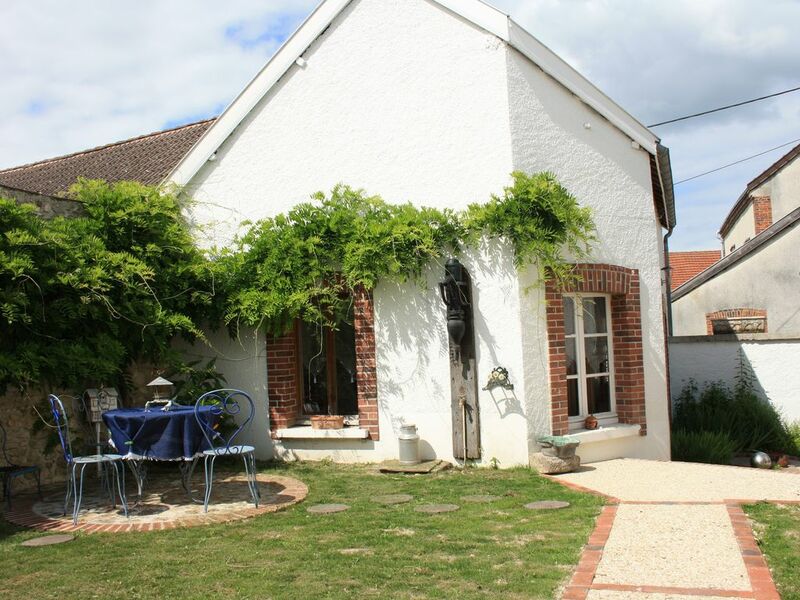 Our cottage "Chez Eric and Sylvie" of 2 to 4 people is located in the old village of Cramant in the heart of the Côte des Blancs. It consists of a fully equipped kitchen (including dishwasher, microwave, oven, washing machine), toilet and living room on the ground floor. TV. DVD player. Board games. Baby equipment. On the 1st floor there are 2 bedrooms and a bathroom with shower, toilet and sink. Outside enjoy the enclosed courtyard to park your car and enjoy a glass of Champagne in your walls enclosed garden with barbecue and garden furniture. In the village, test the restaurant, the crust paté of Nicolas baker and have a small full in the grocery store Colette and of course discover the many small Champagne houses! We are available to offer advice on our area if you wish. A bathroom with bath, sink and toilet. Romantisch eingerichtetes Häuschen mit kleiner Sitzecke. Uns hat es gefallen. Die Vermieter Eric und Sylvie sind sehr nett. Nach Epernay sind es wenige Kilometer. Der Ort liegt in den Weinbergen. The place was very well situated, a nice house with more than enough room for four people. Everything was very clean and comfortably decorated. Eric and Sylvie were very friendly and helpful. We will most certainly go back here again on our next trip to this wonderful region. City center of Epernay, Place Hugues Plomb. +8 euros par nuit pour le lit supplementaire Le prix inclus une place de parking, linge de toilette et de maison et ménage. The price includes one parking place, household and bathroom linen and cleaning.